Ochi Day (also Ohi Day) is celebrated throughout Greece, Cyprus and Greek communities around the world on October 28. 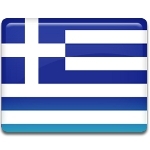 This is a national holiday, that has a significant meaning to the Greek nation. Celebration of Ochi Day is connected with the events of October 28, 1940. The Italian ambassador to Greece presented Greek Prime Minister Ioannis Metaxas an ultimatum demanding Greece to allow Axis forces to enter its territory and occupy some uncertain strategic locations, otherwise Italy would declare war on Greece. Prime Minister of Greece answered this ultimatum with single word “όχι” (“No!”). In response of this refusal Italian troops attacked Greece, thus involving it into World War II. On October 28, 1940 Greeks took to the streets and shouted “Ochi” (“No”), and this anniversary is celebrated as Ochi Day. Celebration of Ochi Day became a public holiday after the end of the war. During the festive day most buildings are decorated with national flags. Student and military parades are annually organized.